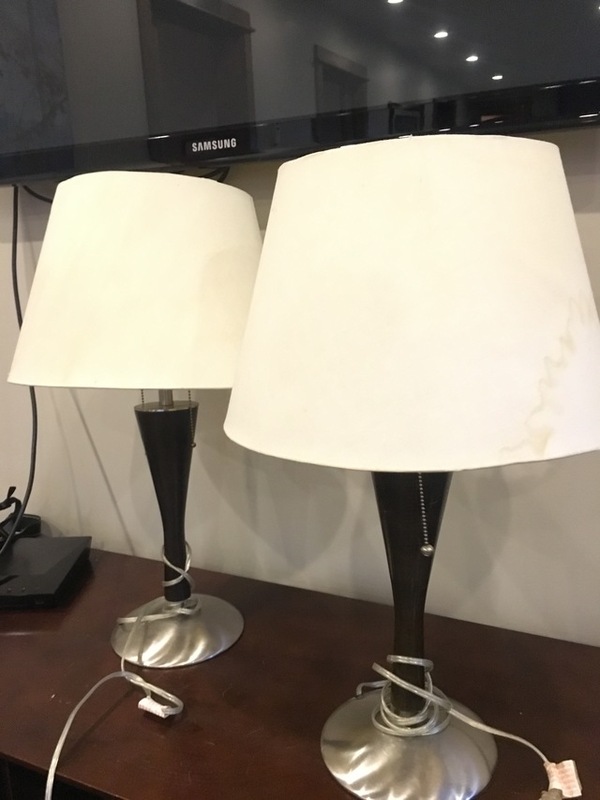 Two table lamps - $30 for the pair. 2 feet high and takes 2 lightbulbs each. Some discolouration on the shade.